Home to a wide variety of outdoor and indoor settings, Key West is consistently one of the most desired wedding destinations in the world. Couples can begin their lives together while standing barefoot in the warm surf with a romantic sunset as the backdrop. You can also tie the knot aboard a catamaran, a historic schooner or a luxury yacht. Other memorable options include an elegant wedding at an opulent resort, amidst the fragrant surroundings of a lush garden or in one of the city’s historic homes like the Truman Little White House. Regardless of the tropical venue that you choose, there’s no need to leave the Conch Republic after the ceremony is over. The southernmost point in the continental United States is filled with relaxing beaches, cultural attractions and exciting adventures that allow you to create the honeymoon of your dreams. Whether you’re gay, straight, young or not so young, you and your loved one will share special moments in one of the most romantic places on earth. Long walks on the beach, breathtaking sunsets and intimate candlelit dinners are the essence of Hollywood romance films. They are also abundant in laid-back Key West. 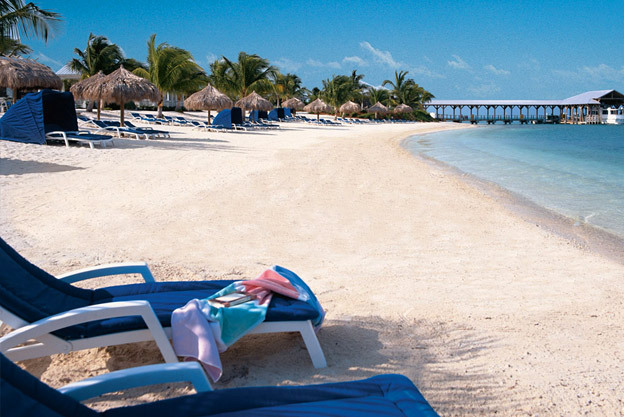 The Caribbean-like weather and a Bohemian ambiance create a honeymoon destination like no other in the United States. The free spirit lifestyle of the eccentric residents, known colloquially as Conchs, combine with warm beaches and the colorful tropical background to produce a relaxing or adventurous seaside honeymoon. You can create an itinerary filled with high-octane offshore activities, relaxing travels through literary and maritime history or a customized mix that accommodates your unique special interests. From shopping and dining to lodging and activities, Key West has a wide selection of options that will please every personality and budget. 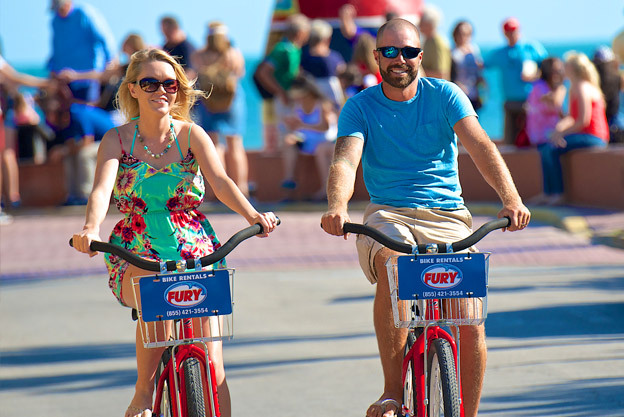 Leave the car behind and walk hand in hand or ride tandem bikes while experiencing the beauty and charm of the city. Although there is never a bad time to visit the Conch Republic, Key West has two primary seasons. The period from November to April typically sees milder temperatures, sunny weather and lower precipitation. Visitor traffic is especially high between Christmas and Easter. For those on a budget, be aware that hotel prices will be higher during this time. From May to October, rainfall is more prevalent due to tropical weather patterns. The precipitation can range from light showers or heavy rains. While the summers are typically hot, there are more things to do as festivals and other major events tend to be scheduled during the warmer months. You will also get the best hotel and vacation package deals from June to September. Finding a place to relax and unwind after the hoopla of wedding activity has concluded is never a challenge in Key West. Your lodging choices include quaint bed and breakfasts in historic homes, luxurious all-inclusive oceanfront resorts and everything in between. Situated on the grounds of a former coconut plantation, The Moorings offers private cottages for those seeking some quite time. The resort, featuring a private beach, is the backdrop for the Netflix series Bloodlines. And for couples interested in waterfront accommodations, the historic Victorian-style Southernmost House is an upscale waterside inn. This boutique hotel has been the hotel choice of presidents, royals and other famous figures. When choosing your accommodations, you can select from hotels that offer amenities like oversized soaking tubs, secluded private pools and scenic porches that make your stay in the room more enjoyable. As the birthplace of key lime pie, your honeymoon won’t be complete without sampling the local delicacy. It may even rival your wedding cake! The Conch Republic is also renowned for fresh seafood like mahi-mahi, yellowtail snapper and lobster. You will find restaurants serving American favorites as well as fusion cuisine influenced by the tastes of Cuba, the Caribbean and the Bahamas. You can grab a quick bite to eat from a street vendor or enjoy a cup of Cuban coffee. In the evening, share a romantic dinner at a fine dining establishment on Duval Street. End each day of your honeymoon with a breathtaking sunset. 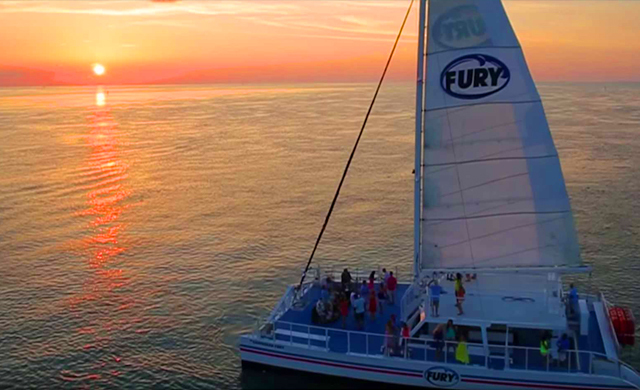 You can join fellow admirers in Mallory Square for the daily Sunset Celebration street fair or sail out into the Gulf of Mexico on an intimate Champagne Sunset Cruise with Fury Water Adventures. After the sun dips below the horizon, walk along Duval Street, the pulse of the city’s nightlife. Stop by iconic watering holes like the Green Parrot, Captain Tony’s Saloon and Sloppy Joe’s Bar. Aqua and the Bourbon Street Pub are gay-friendly and a fun time for all. Celebrate your nuptials with a tropical cocktail toast! Depending upon your preference for outdoor activities, Key West offers numerous ways to explore the beautiful natural surroundings. In addition to a snorkeling or diving adventure, you can explore the colorful undersea world of the only living coral reef in North America aboard a specially designed glass bottom boat. Visit the mangrove forests and tidal marshes of the pristine backcountry on a kayak tour or aboard a chartered boat. Swim with the dolphins or try your hand at deep-sea fishing. No matter which watersport you choose, you’ll be making memories with your partner in adventure. History buffs can retrace the steps of presidents and literary giants like Robert Frost, Tennessee Williams and Ernest Hemingway. Visit the Ernest Hemingway House and Museum to see where the legendary author penned some of his most famous stories and then take a leisurely stroll through the estate’s lush garden. You can wander the palm-lined streets and admire the gingerbread homes, tin-roofed conch houses and colorful coastal homes like the Audubon House. Another historic building is the Truman Little White House. The former home of the naval station’s commanding officer, the 1890s residence has also served as a peaceful retreat for Presidents Truman, Eisenhower and Kennedy. This celebrated landmark features tree-canopied, manicured grounds that include three lawns and a beautiful garden. This historic attraction is also a stunning backdrop for a tropical wedding. Now you and your spouse can impress each other with your newly learned knowledge of Key West’s past. Nothing says romance like a sunset picnic at Fort Zachary Taylor State Park, which offers one of the quietest beaches on the island. Higgs Beach is gay-friendly and lively Smathers Beach appeals to a younger crowd. If you prefer a more active honeymoon, sign up for a wide variety of water sports like tandem parasailing. Ride a high-speed catamaran to an offshore sandbar for a mix of water activities like swimming, snorkeling and jet skiing or embark on a wind-powered voyage aboard a replica schooner. 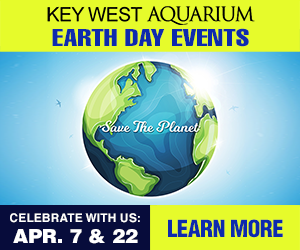 You can also charter your own day adventure with a boat rental or rent a convertible for a scenic drive along the Overseas Highway. As the southernmost point in the continental United States, Key West offers honeymooners an eclectic mix of options for couples of all stripes. You can enjoy thrilling days and nights filled with bustling wild adventures or a quiet and relaxing time of warm sand, lush garden strolls and island history. Key West, with its motto “One Human Family,” awaits any and every couple who want to celebrate their nuptials and create memories that will last a lifetime.